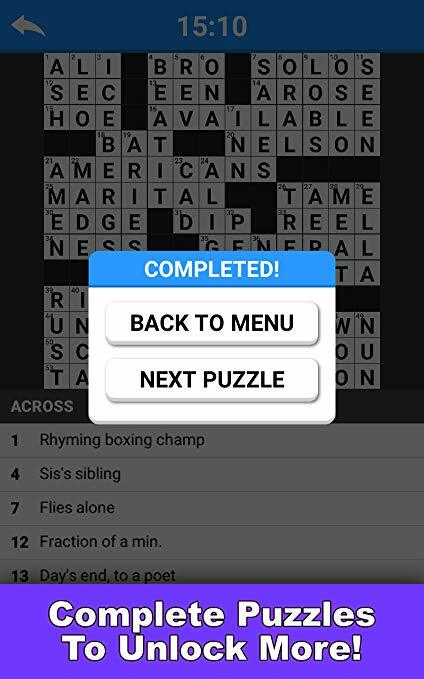 Play classic American crossword games on your device for free. The puzzles are are separated into three different grid sizes, to suit players of any ability. 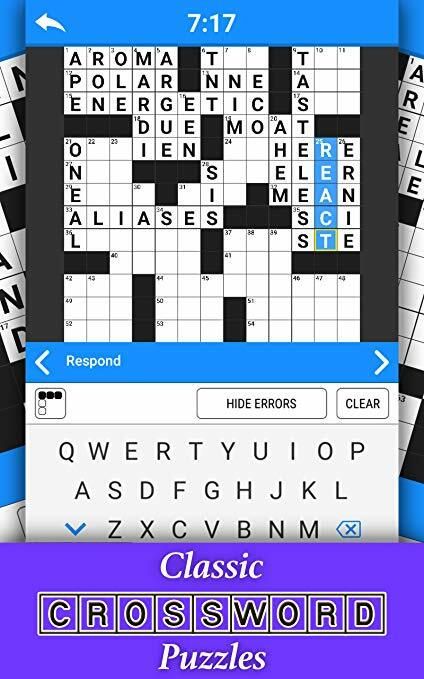 Crossword Rules: A crossword consists of black and white shaded squares that form a square grid. 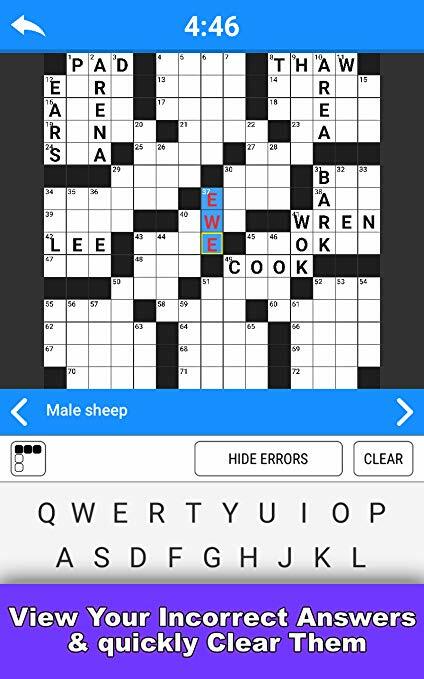 The challenge of the puzzle is to fill the white squares with letters, forming words or phrases by solving the clues that will lead you to the answers. 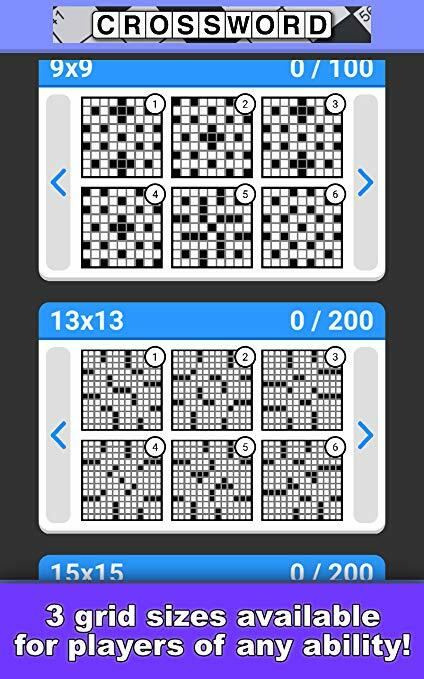 Puzzles For Everyone: 3 grid sizes of 9x9 (beginner), 13x13 (novice) and 15x15 (expert) are available, so whether you've never played a crossword or you play them all the time - you can be sure that this is the crossword app for you!